Barbara Bratzel, an Educator in Residence at the Tufts Center for Engineering Education and Outreach (CEEO), recently gave talks and ran workshops at two LEGO Engineering conferences in India. 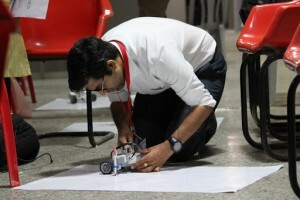 The two conferences, with the theme Driving Innovation in India through STEM Education, were the first LEGO Engineering conferences held in India. They were sponsored by LEGO Education and Edutech. The first conference was held at the Loyola-ICAM College of Engineering and Technology in Chennai on September 4, 2018. The second conference, on September 6, was held at the Visvesvaraya Industrial and Technological Museum in Bengaluru. Both conferences featured talks and hands-on workshops. Registration for each conference was capped at 100 participants, but in both cities teachers who were closed out of registration came anyway–leading to very busy workshops! At each conference, the attendees participated in two, ninety-minute hands-on LEGO robotics workshops. In one session, the teachers designed their own simple EV3 cars, then attached motors, sensors, and 3D-printed penholders with markers to the cars. They programmed them to draw a variety of different designs. The teachers also explored data logging, an application of LEGO robotics that was new to almost all of them. 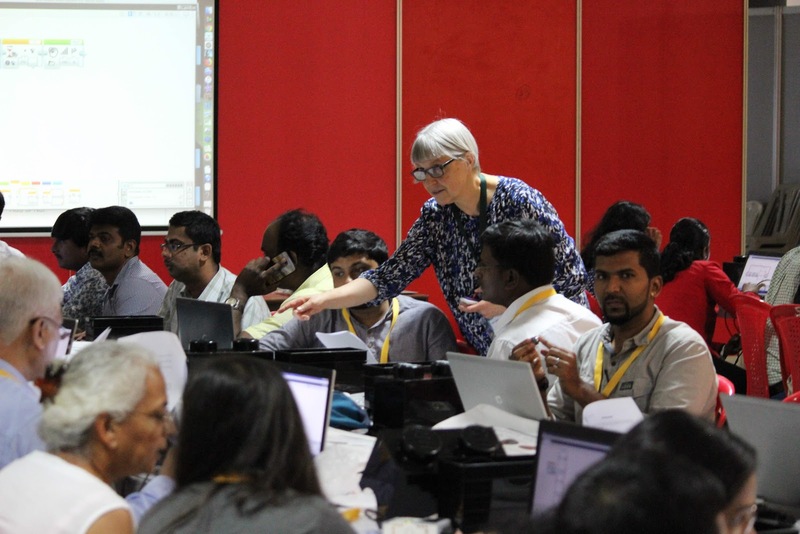 A central theme of both the workshops and the talks was to examine ways of shifting from a step-by-step, exam-based approach to STEM education to a more open-ended, project-based model. In particular, how does a teacher include creative problem solving and collaboration as an integral part of a class while still teaching content and assessing students? In the talks and workshops, the participants saw examples of projects that successfully bridged this gap. Entry filed under: LEGO. Tags: .